In 2015 Mark Miller's The Secret Service comic book was adapted for the big screen and following its success the sequel, Kingsman: The Golden Circle, is the next installment coming to cinemas this September. 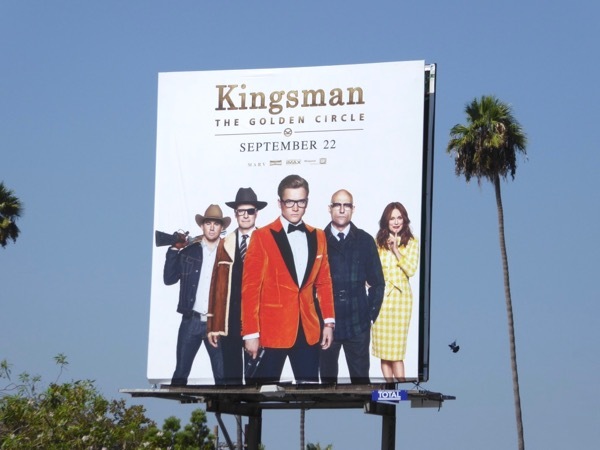 Taron Egerton and Mark Strong return as British secret agents and Colin Firth's veteran spy 'Harry Hart' has apparently been resurrected, minus an eye. 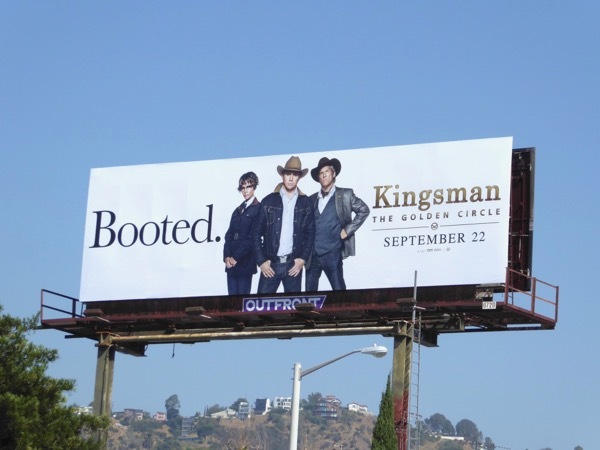 This time after their U.K. headquarters are destroyed, the impeccably suited spies head stateside to see their U.S. allies (Halle Berry, Channing Tatum and Jeff Bridges) in a similar espionage organisation, swapping ties, briefcases and umbrellas for cowboy hats, boots and lassos against a common foe (played by Julianne Moore). 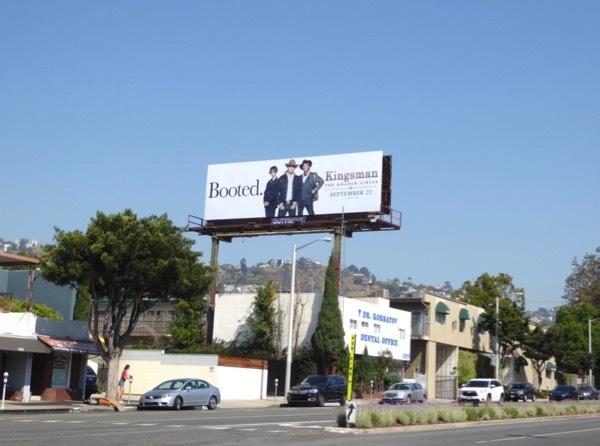 These movie sequel billboards were snapped along L.A.'s Pico Boulevard and Fairfax Avenue from August 26 to September 7, 2017. 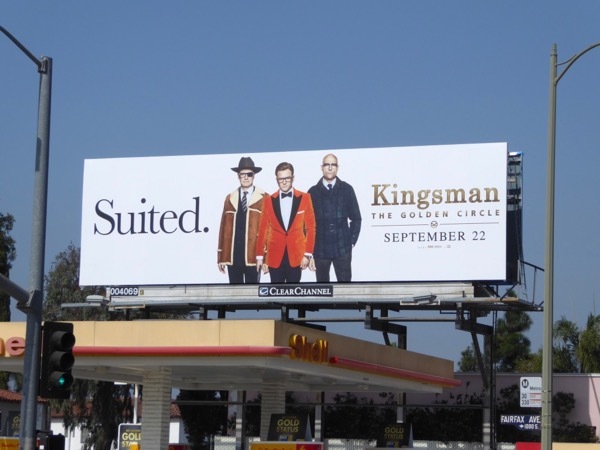 Fans of the first film can also check out these Kingsman: The Secret Service movie billboards, plus Taron Egerton fans can enjoy these Eddie the Eagle movie billboards. 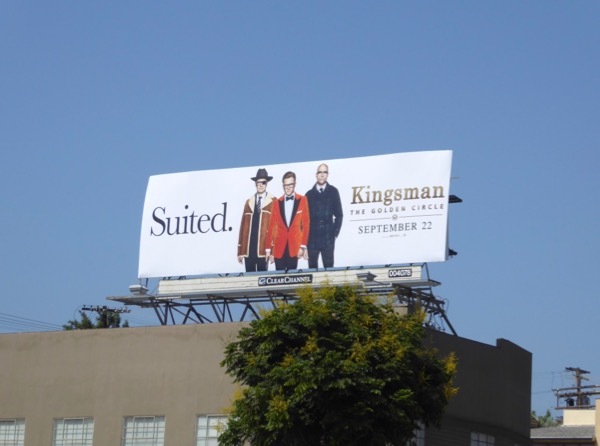 Meanwhile admirers of Channing Tatum can see more of him in these Magic Mike XXL movie billboards, Halle Berry in these various movie, TV and beauty billboards, Jeff Bridges in these film billboards and Colin Firth in this billboard for The King's Speech. It looks like these super spies are 'suited and booted' for action, so let's hope they can deliver some high-octane excitement, escapism and a few laughs to satisfy audiences this fall. 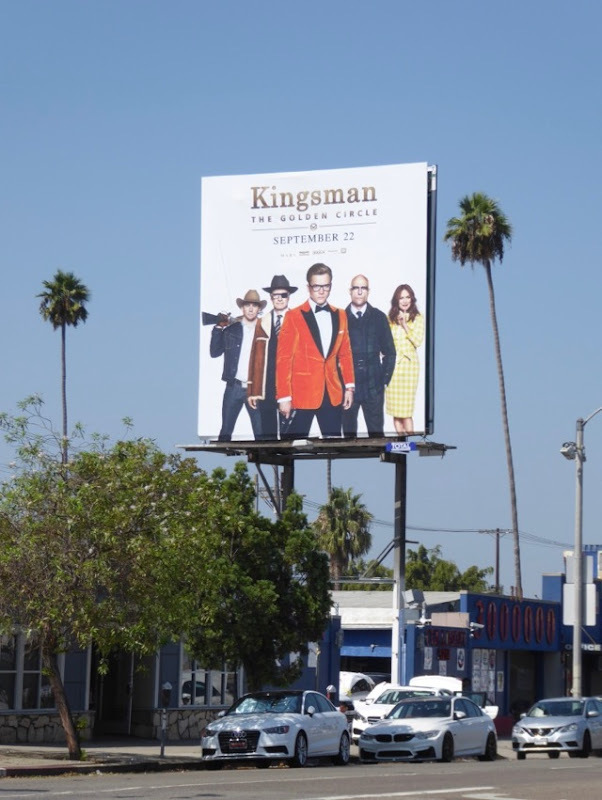 Forget James Bond, the name's 'Eggsy' and he's here to save the day.